This month we've been focusing on easy ways to update our bathroom. 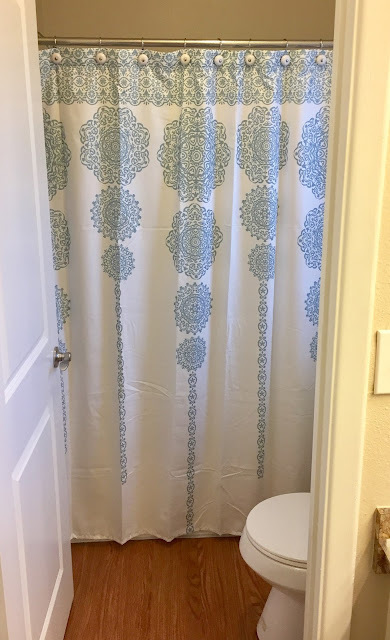 Now that we've found the perfect shower head and added our personalized embroidered towels, we wanted to find a new shower curtain to brighten up the room and tie it all together. Those of you who follow us regularly know that we used Lush Decor to update our bedroom a while back, which turned out beautifully. Since we were happy with the quality of their bedding, we felt confident that we'd like their shower curtain selection as well. There are plenty of modern and trendy designs to choose from that will match a variety of color schemes. Because our downstairs guest bathroom is small, we wanted a light color to open up the room, which will make it look larger. 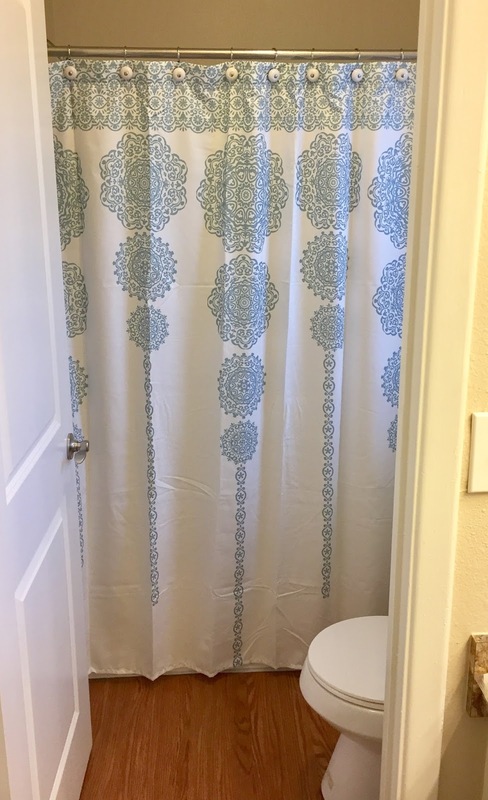 We chose the Striped Medallion Shower Curtain, which turned out to be even better in person than it looked on their website! This shower curtain draws your eye immediately and gives our bathroom a more upscale feel. The material is super soft and feels like a high-end hotel quality curtain. We love the light blue cascade of alternating long and short medallion motifs. (This design comes in gray as well.) It's amazing how much color choice can affect the feel of a room. This white curtain makes the room seem larger and allows more light into the shower. **Care Instructions - Machine Wash Cold In a Laundry Mesh Bag, With Similar Colors, Gentle Cycle. Use Only Non-Chlorine Bleach When Needed. Tumble Dry Low, Light Iron if Needed. Check out Lush Decor's online shop to order home decor directly to your door. 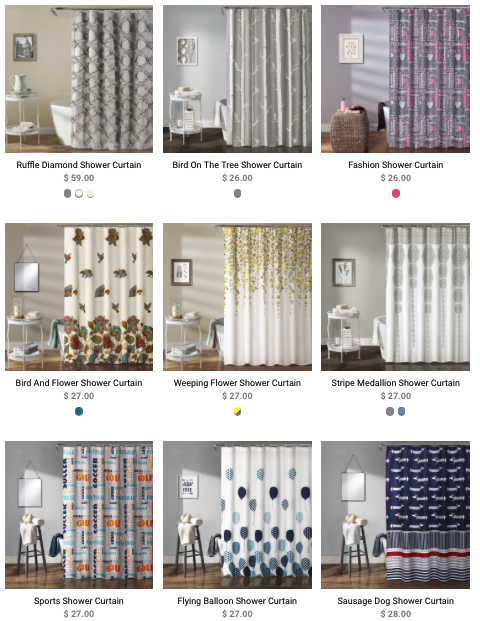 They have an awesome sale on many of their shower curtains going on right now, so it's a great time to update your bathrooms! We love that they offer free shipping on orders over $50. 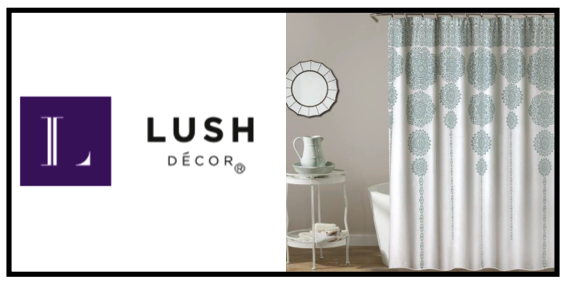 Lush Decor has generously offered to giveaway a shower curtain of choice to one lucky Across the Avenue Reader! It's a great opportunity to update your own bathroom and give Lush Decor a try for yourself. Enter the Rafflecopter below for your chance to win. Entrants must be 18 years of age or older and live in the Continental US. Good luck!! Disclaimer: The product in this post was provided free of charge by Lush Decor. As always, our posts are our own, honest opinions.